Being a Michigan lifestyle photographer is a huge passion of mine. I love documenting all the different stages of life, in a natural, organic, non-posed way. Many of you may now know this, but I am also a hair stylist at Bocci Salon. I met Marissa through the salon where we both work. 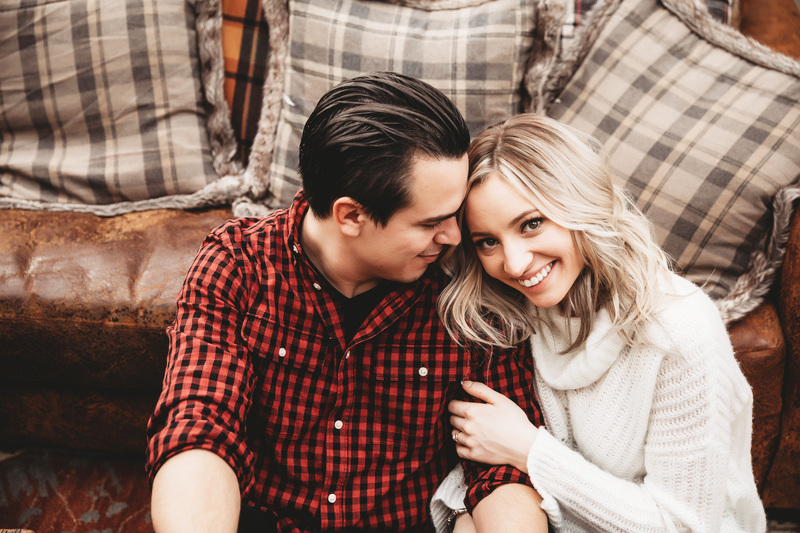 Marissa’s fiancee, Jared, surprised her recently by proposing to her during their recent trip to Colorado. 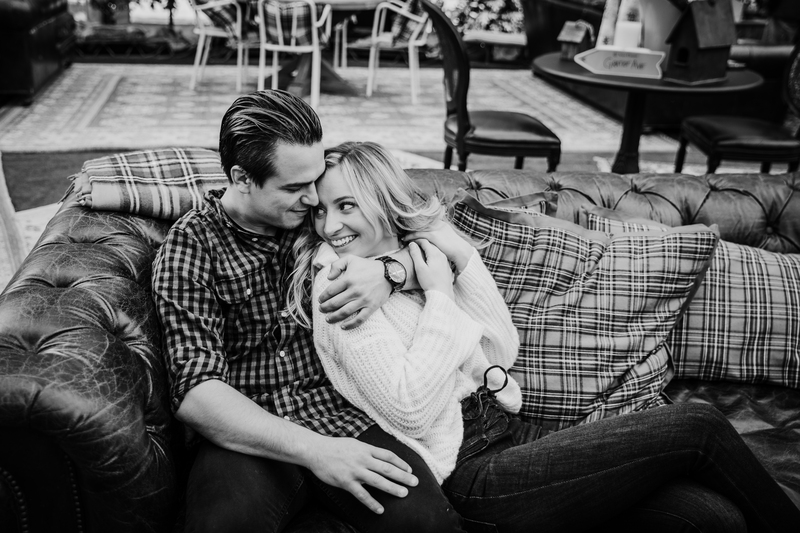 It was a sweet intimate moment for the two of them, and when they returned to Michigan, they contacted me to photograph their engagement and be their Michigan lifestyle photographer for the day. 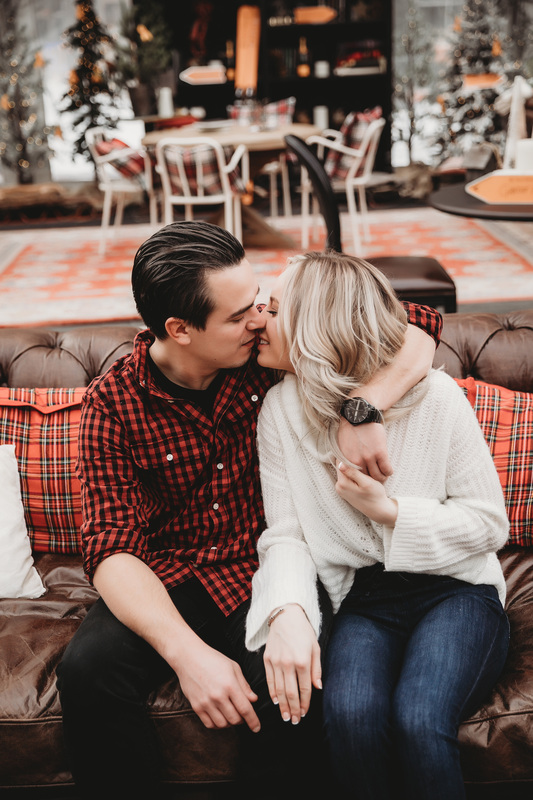 I was thrilled to capture their love for each other, and let that truly be the highlight and focus of their engagement session. 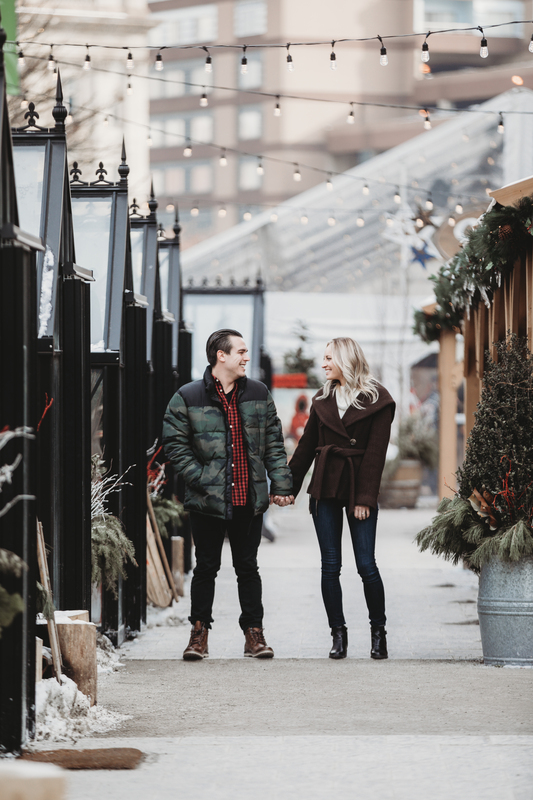 If you didn’t get the chance to check out the Downtown Detroit Christmas markets that popped up throughout the city, you should really add that to your holiday bucket list for next year. 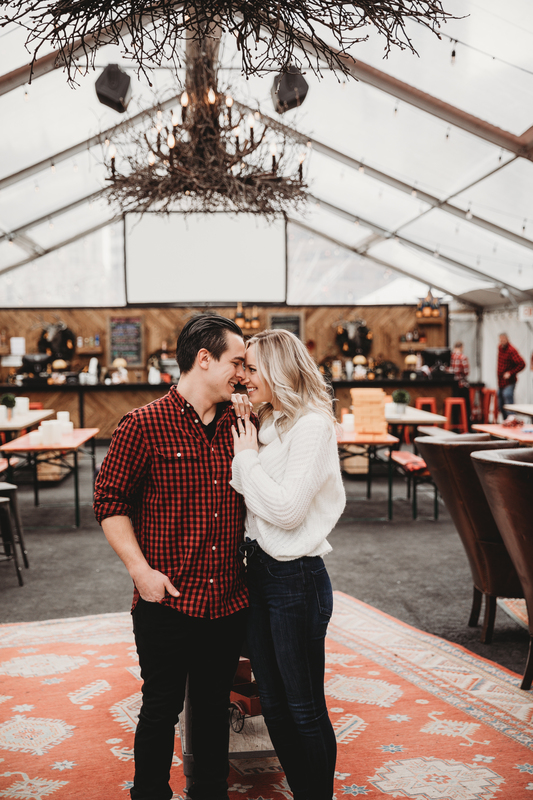 They were seriously stunning, and had tons of secret and intimate hide outs within them that are perfect for some loving snuggles and sweet kisses, and, of course, tons of laughter and silliness. The markets will be in town until January 28th, just in case you didn’t make it downtown to check them out. 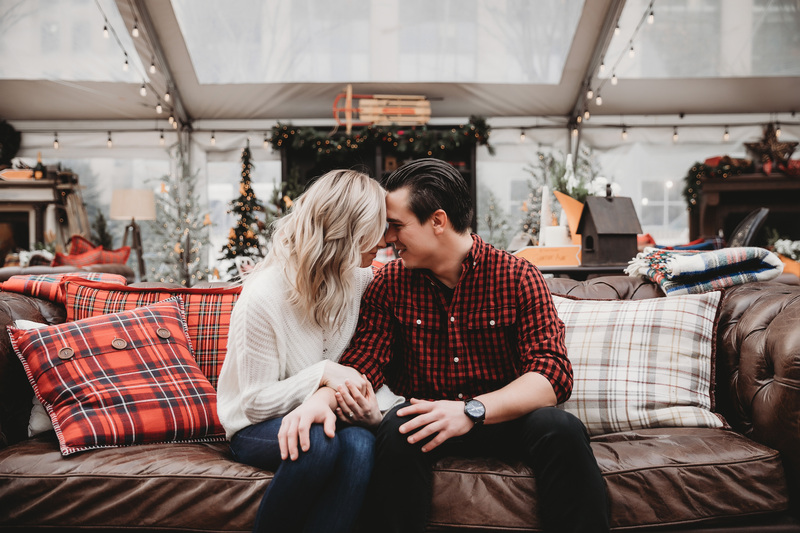 There are tons of areas around the markets that are perfect for a holiday themed lifestyle engagement session. I can’t get enough of the fire pits, big glass atriums strung with pretty twinkle lights, and the lush decor of locally sourced artists or stores. In the Capital Park area, they also had over 100 Christmas trees there everyday, available for people to purchase and take home. It was gorgeous to see these lush, snow-covered trees, in the middle of a downtown metropolis with the looming skyscrapers, chock full of Detroit history, in the background. I look forward to Marissa and Jared’s wedding next year, and following their love story and documenting the evolution of it along the way. 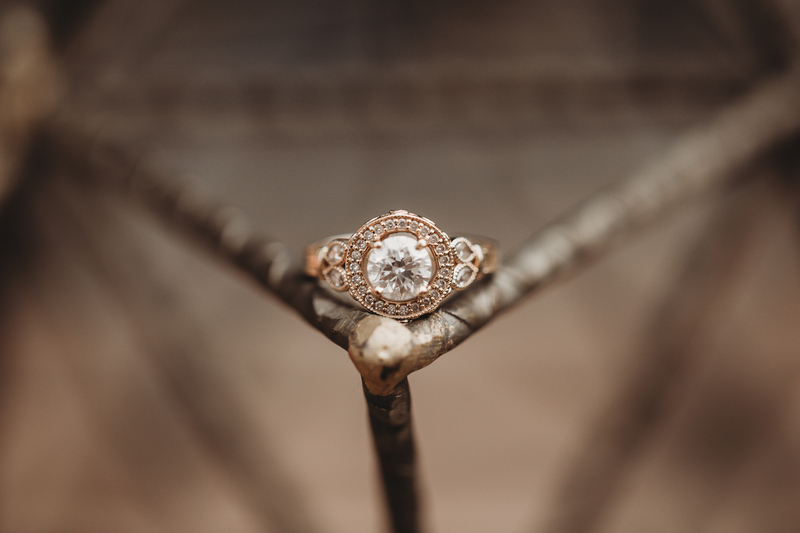 If you’re looking for a Michigan Lifestyle Photographer, I would love to connect with you and chat about your perfect session.